Delegates and organisers of the BestCities Global Forum were united in their praise for the four-day conference, which took place in Tokyo in December, with the event receiving 100% approval ratings. Delegates and organisers of the BestCities Global Forum were united in their praise for the four-day conference, which took place in Tokyo in December. One hundred percent of delegates surveyed agreed that they would recommend attending the BestCities’ 2018 event to other international association delegates, while a staggering 95% reported the Forum met or exceeded their expectations. Hosted alongside BestCities Global Alliance partner, Tokyo Convention & Visitors Bureau (TCVB), this year’s Forum was themed Building Global Connections Across Cultures. Led by a range of internationally respected consultants and industry leaders, the packed programme combined engaging education sessions with lively interactive workshops. Focused on building greater cultural awareness and adaptability, practical insight sessions aimed to empower event organisers to create a more tailored delegate experience, mindful of their planned meeting location. The application of big picture ‘Cathedral Thinking’ workshops, enabled delegates to pool their combined experience to collectively address ways and means of achieving their associations’ priority long-term objectives, as well as discussing the future supportive role BestCities can play in making that a reality. BestCities Board Chair, Jonas Wilstrup, CFO of Wonderful Copenhagen Convention Bureau said: ““The Global Forum has genuinely resonated with our delegates. As well as building an increased awareness of cultural sensitivities, many attendees commented on the crucial role BestCities can play in helping them overcome perceived cultural challenges, from local knowledge sharing to connecting event planners with experts on the ground. “At a time when we are seeing countries adopting a more insular or ‘tribal’ outlook, the business tourism industry has never had a more important role to play. International meetings create a forum for knowledge sharing and collaboration, that can transcend any perceived cultural and religious boundaries or geographical borders. 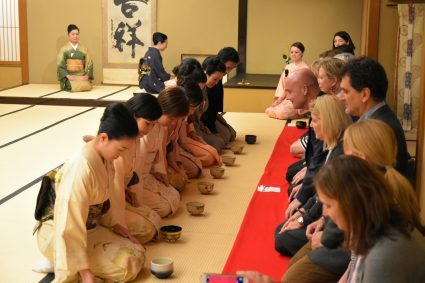 Hosted at the luxury Hotel Chinzanso Tokyo, delegates were able to experience the very best of Japanese hospitality and efficiency, including participation in a full cultural programme, designed to immerse them in Japanese heritage and traditions. There was also an opportunity to learn more about the exciting legacy opportunities for the meeting industry presented by the Tokyo 2020 Olympic and Paralympic Games. The experience was obviously well received, with over 92% of surveyed delegates agreeing or strongly agreeing that as a result of their attendance at the Forum, they would now consider Tokyo for a future international meeting. 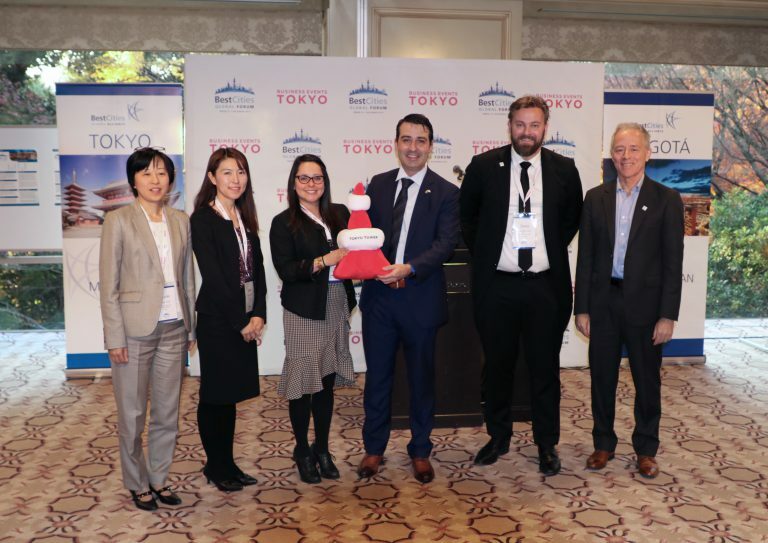 Kazuko Toda, Director, Business Events Tokyo, Tokyo Convention & Visitors Bureau said: “With the theme of ‘Building Global Connections Across Cultures’, Tokyo was the ideal host city to ensure our delegates enjoyed an unforgettable experience at the Global Forum. Complementing BestCities’ innovative programme, TCVB was delighted to enhance the cultural dimension, immersing delegates in Japanese tradition. 24 international association executives attended the Global Forum, including representatives from International Federation of Airline Pilots’ Associations, International Association of Paediatric Dentistry, Women Deliver and World Veterinary Association. Speakers at the 2017 BestCities Global Forum included author and former CEO of Tourism Vancouver, Rick Antonson, Prof. Hiroo Ichikawa, Executive Director of The Mori Memorial Foundation, international learning consultant Miriam van der Horst and Global Forum facilitator Sean Blair, owner of ProMeet. 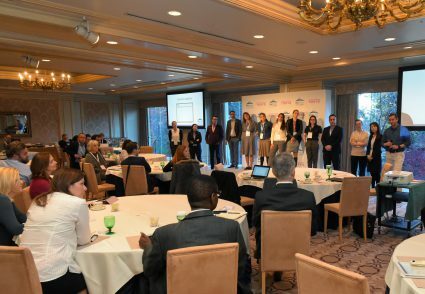 A series of Knowledge Exchange Cafés were also led by IAPCO President, Mathias Posch, while Andrés Gómez, of FTI Consulting, led an overview of Latin America and Colombia. The BestCities Global Forum 2018 will take place in Bogotá, Columbia in December. Themed Power of People, it is open to senior association executives (or AMC on behalf of associations) considering hosting International Business Events that rotate globally, relevant to any of the 12 BestCities Global Alliance partner cities: Berlin, Bogotá, Cape Town, Copenhagen, Dubai, Edinburgh, Houston, Madrid, Melbourne, Singapore, Tokyo and Vancouver.